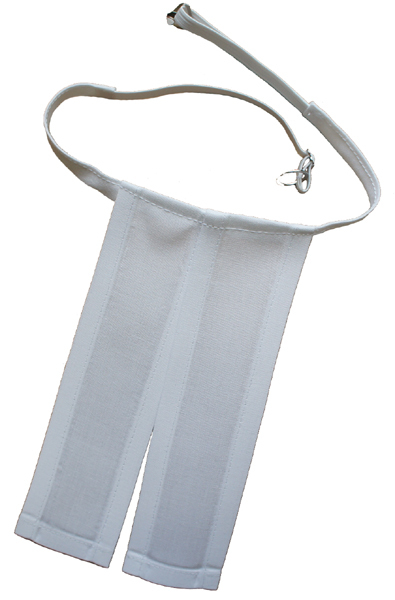 These standard length Barrister Bands are made in England from a starched white cotton. They are attached to elastic and are secured by a small clip and hoop around the outside of the wing collar. The bands/tabs are approximately 6 1/2" in length (16.5 cm).